The perfect solution for noise source determination brought to an entirely new level by Dewesoft. Sound intensity measurements reimagined in a simple and intuitive way while perpetuating utmost precision and industry unmatched adaptability. Dewesoft Sound Intensity module offers a complete measurement solution, enabling the customer to use it for precise noise source location or sound power calculation, without the need for any special environment such as reverberation room or anechoic chamber. 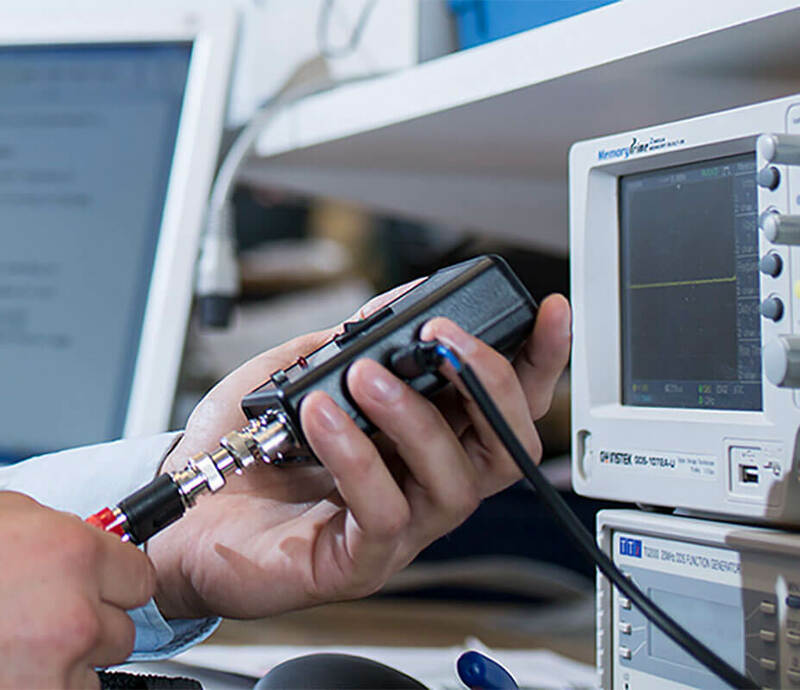 Sound power measurement is a universally recognized method especially established to compare devices for their Acoustic properties. Utilizing our fully-fledged and versatile solution, sound power measurements can be conducted regardless of the object of interest's shape or size with only a few requirements for the space or location of measurement. This way sound power can be obtained in any type of sound field. Moreover, this method enables measurement of devices that require specific and complex mounting to operate, making it impossible to determine their sound power through other methods. In situ measurements have never been simpler, or as powerful. Perfect for fast troubleshooting and conformance to factory measurements and it also excels in complex devices with residual noise where key interest is a sound power of a specific machine. When it comes to noise source location, no other solution is as simple and intuitive to use as Dewesoft sound intensity. Depending on the direction of sound waves travel (from microphone A to B or vice versa), our plugin will display different values (positive or negative) as noise source moves along the axis of the probe. When the probe is perpendicular to the noise source (located directly above it), the visual control inside Dewesoft X3 will toggle between positive and negative value. As this process is done for the horizontal and vertical alignment of the probe axis, the Sound. Sound intensity scanning method (9614-2) for Sound power determination offers rapid and fluent measurement procedure. This holds especially true for large devices. 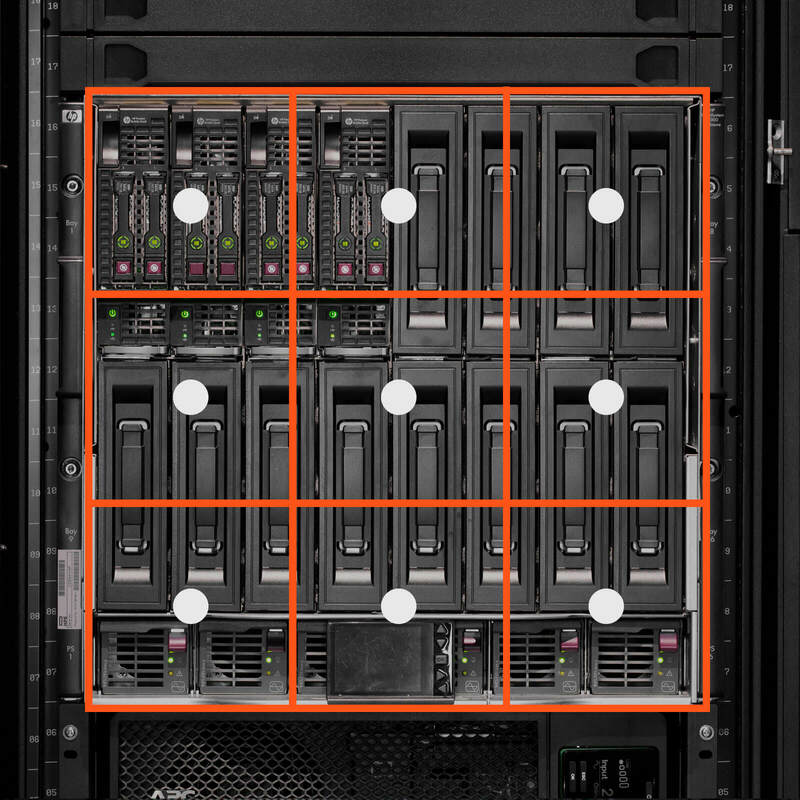 Dewesoft solution shines with a very clear visual control and on-screen guidance in regards to timing and scanning patterns. The most powerful aspect is the support for the buttons on the Sound intensity probe, making it completely operational by a single person. Scanning method is meant to be simple and fast. So that is exactly what we want you to experience. When more time is available or more detailed approach is necessary, segmentation method (9614-1) is the best possible option. Once an object is measured from all (usually 5) sides, Sound power can be calculated. However, with our solution, it is possible to do a more detailed analysis of the result. The software maintains the levels for each segment and further sub-segmentation is possible to extract additional information about the device under test. On top of all this, Sound intensity probe buttons are supported for moving between segments and triggering start/stop of the measurement. Accompanied by a beautiful visual control with overlay on top of the object image, our solution gives an intuitive view of the results and key quality parameters of measurement. 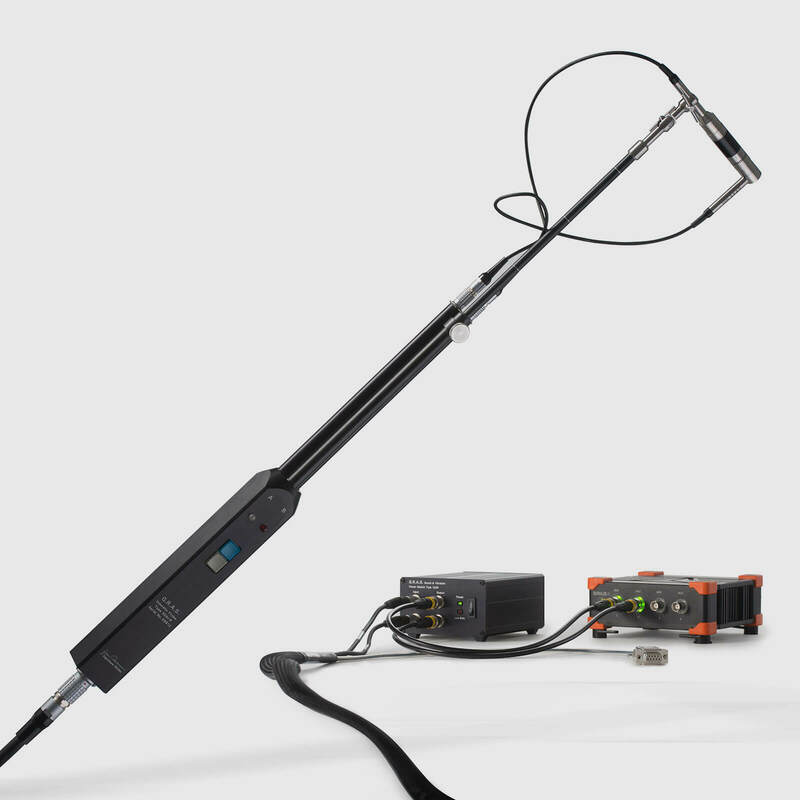 Our software supports a range of intensity probes in their complete functionality, each of them coming with a selection of solid spacers providing corresponding microphone gaps at frequency ranges of interest. 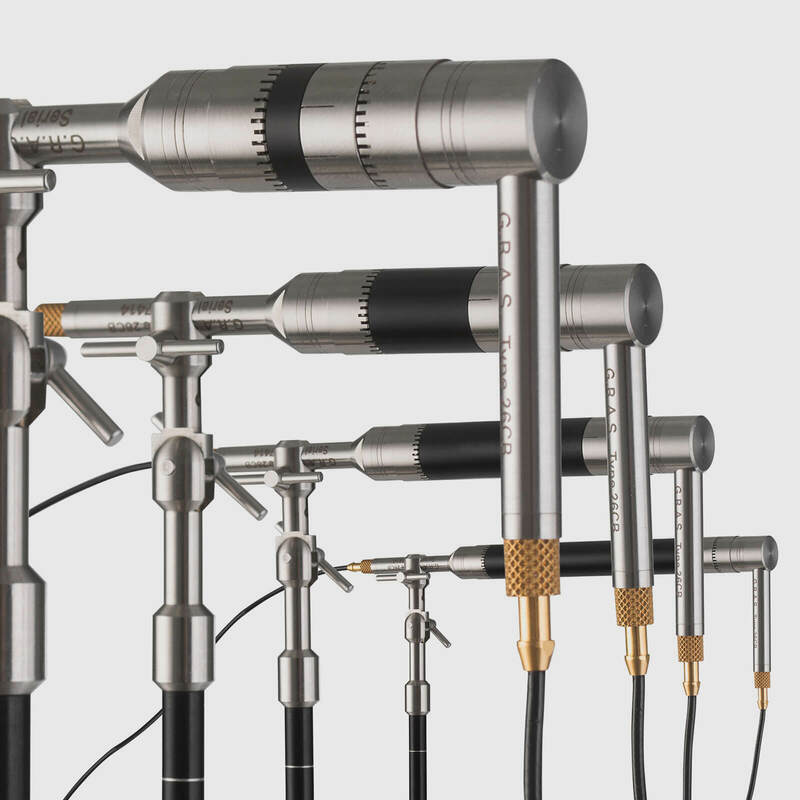 We carefully selected the assortment of probes to ensure reliable and swift operation as all supported intensity probes have been designed to switch easily between different microphone spacers. The complete frequency range is thus covered easily and fast. One of a Kind, Expandable Solution. Two additional analog inputs on SIRIUS mini allows you to plug in additional sensors, eg. accelerometers. This allows you to simultaneously measure and display other parameters inside Dewesoft X3 software. In conjunction with GRAS 12AR power module, we offer a plug and play solution for probes that require 200V polarisation voltage, making it possible to use existing equipment as well. We are committed to offering the highest usability, therefore our advanced solution is completely portable. SIRIUS mini can simply be powered over USB from a laptop. Where 200V polarization voltage is required and portability is in question, we offer packages with G.R.A.S. Intensity Power Module Type 12AB that makes our solution adaptable to existing intensity probes while still maintaining “off-grid” portability. Modern measurement techniques and solutions all require a way to ensure the quality and compliance of the measurement chain. Dewesoft has recently put special efforts in this area. Every Dewesoft SIRIUS DAQ device can thus be calibrated according to IEC 61672-3:2013. Our Sound intensity solution also includes procedures for single frequency pressure accuracy and also Phase calibration of the whole measurement chain using GRAS 51AC Sound Intensity Probe calibrator. In addition, we also offer a complete service of filter calibration according to IEC 61260: 2014 standard. 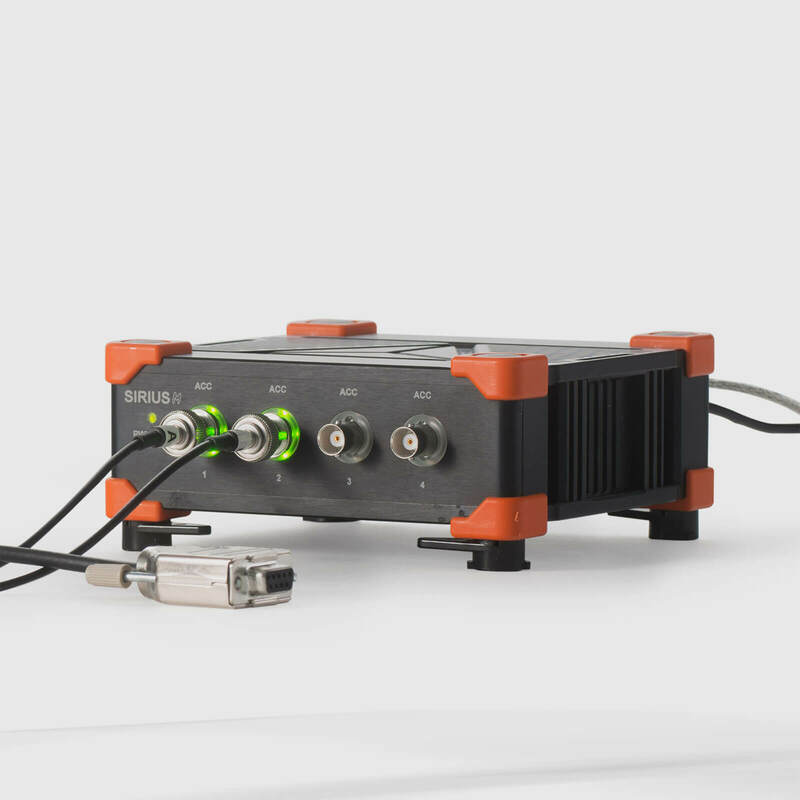 Small and highly portable, USB powered data acquisition system ideal for acoustic, vibration, and rotating machinery analysis. Dewesoft X3 is the most advanced data acquisition, recording and analysis software. The software received multiple international awards, is innovative, easy to use and deep in functionality. 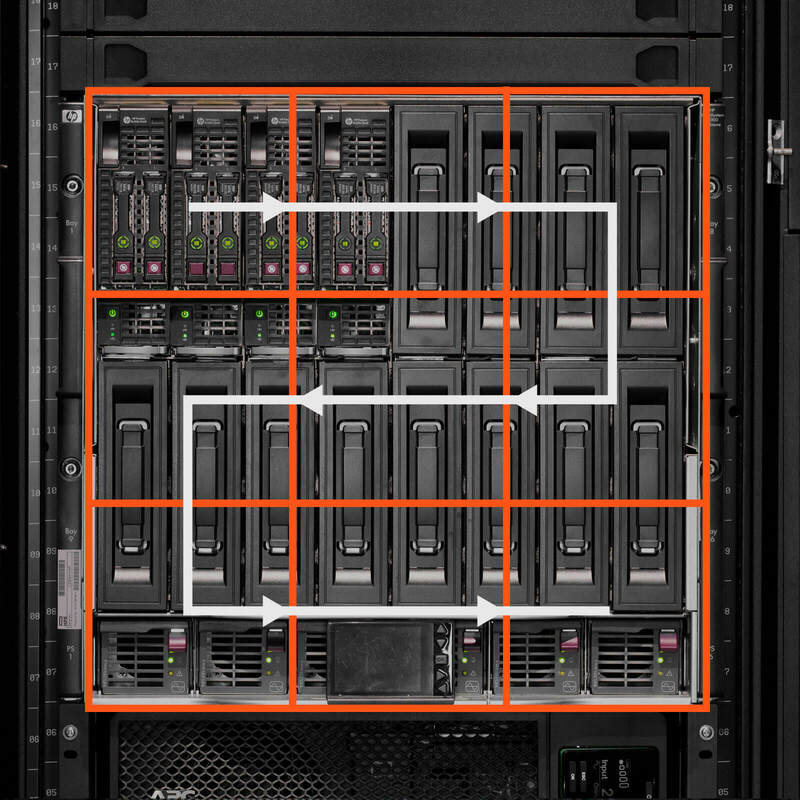 Dewesoft Sound power solution merges best of both worlds: widely established sound power measurements with familiar, distinctive user interface and industry unmatched adaptability. 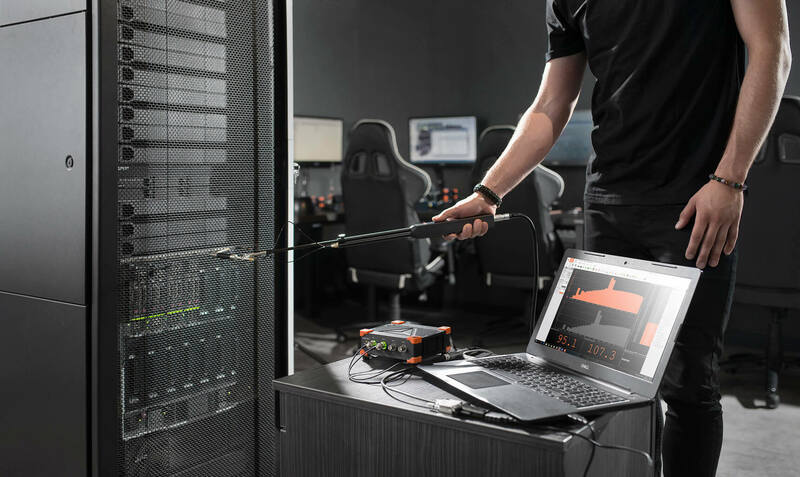 Rate and compare different noise sources with ease and exactness while simultaneously monitoring any number of measured parameters. Golden standard for noise level measurement reimagined with Dewesoft approach, priding on certified compliance with international standards, ensuring maximum accuracy. No matter the acoustics measurement, SLM plugin is always at the heart of it, consequently, extra care was devoted to making it your trusted partner in acoustics. 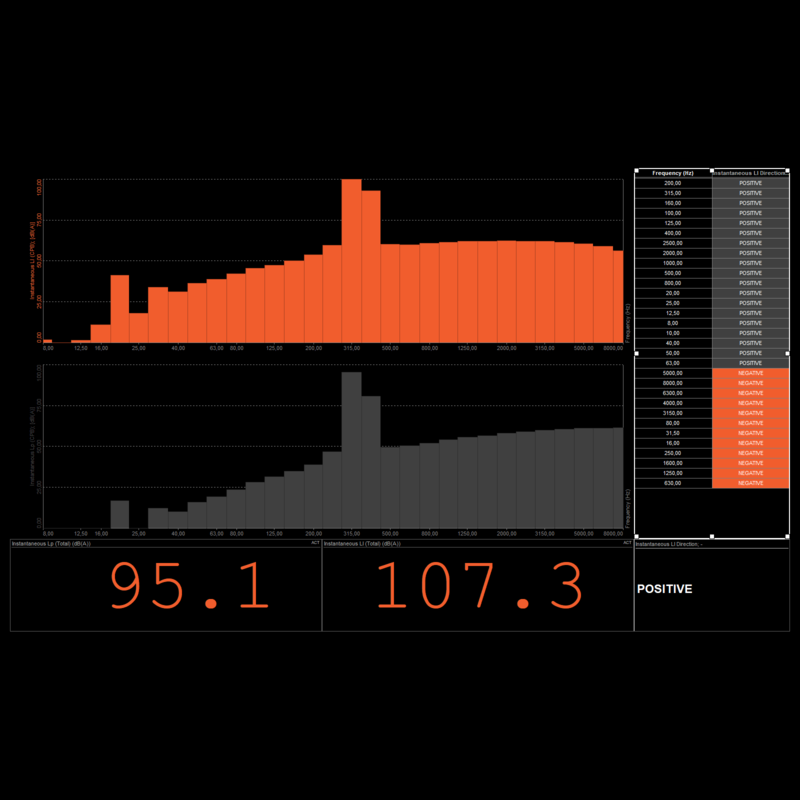 Due to its logarithmic frequency axis, octave analysis is an indispensable tool for sound measurement as well as predictive monitoring. Dewesoft octave analysis solution meets all of the IEC and ANSI Class I specifications for octave filters.